In a Nutshell: Today’s digital landscape makes most entertainment options — from movies, television shows, music, and books — available on demand at the swipe of a finger. 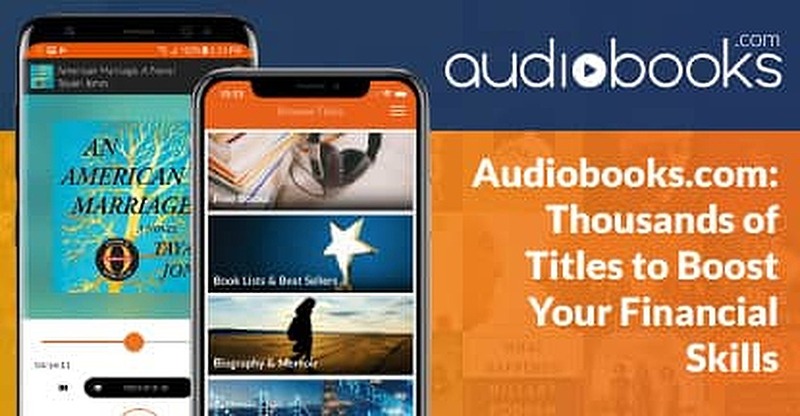 An industry leader in mobile books, Audiobooks.com keeps bibliophiles updated on their latest reading with a library of more than 100,000 current titles for sale and over 8,000 more available to download for free. A $14.95 monthly membership gets members a credit they can use to download any title directly from the company’s application. Audiobooks.com is also a leader in the in-car audio space and comes pre-installed in new Jaguar, Land Rover, and GM vehicles. For vehicles that don’t come pre-installed with the app, Audiobooks.com offers listening options through Android Auto and Apple CarPlay, and in-home listening on Sonos, and other devices. When most consumers think of Netflix, the first thought is bingeing movies and TV shows on any given evening. But many people forget the process of retrieving the company’s little red envelopes from the mailbox, each containing the rented DVD they had last selected from a queue of movies they wanted to see. The on-demand culture has spread beyond the latest movie and television show releases. Consumers can now sit at a stoplight and make purchases that once required trips to music stores or bookstores, with selections ready for use in a matter of seconds. I spent six hours alone in a car on a recent road trip, but never felt lonely because I had the audiobook version of a Charlie Chaplin biography to keep me company — what can I say? I’m a big fan of the Little Tramp. Since 2011, Audiobooks.com has led the literary charge into a digital future. The company started as a CD rental service in 2003 and later rebranded as a premier destination for more than 100,000 premium audiobook titles available instantly through an industry-leading mobile application for Android and iOS devices. Subscribers also receive discounts on any book purchased without a monthly credit. This means busy professionals can listen to the latest business releases on their long commutes and not dent their wallets or their schedule. Audiobooks.com differentiates itself from the competition with a mobile application that is as easy to use as it is convenient. Books can be purchased and downloaded directly from the mobile interface without having to switch back and forth between devices to acquire new titles. Audiobooks.com adds new titles to its growing library every Tuesday, with best sellers for the month shown at the top of each category page. The company regularly adds new business books to go with a list of classic works that provide teachings that have endured the test of time. Aside from the availability in audio format of virtually every top-selling book, Audiobooks.com also provides more than 8,000 titles that members can download for free and listen to an unlimited number of times for as long as they like. The beauty of an audiobook is that you can listen to it almost anywhere — from the car to the gym or while doing the yard work you’ve been putting off for weeks — with little equipment required. The most popular way to listen to books is by streaming them on a mobile device and listening on headphones or wirelessly via Bluetooth and streaming through a car’s audio system. As technology advances, the company continues to expand its offerings in the home, lifestyle, and vehicle spaces. Audiobooks.com also supports Android Auto and Apple CarPlay for compatible vehicles. According to Nicholas Cappelletti, Digital Marketing Specialist at Audiobooks.com, the company’s future plans will allow users to be able to access their favorite audiobooks while at the gym for a workout. The company’s member base has steadily grown in recent years as the market share for audiobooks slowly closes the gap with its printed brethren. Whether you’re looking to win friends, influence people, or both, there are thousands of titles on Audiobooks.com waiting to give you a good laugh, a break from reality, or life-changing inspiration. Wolfe and Cappelletti can attest to that. They aren’t only employees at Audiobooks.com, they’re also avid listeners with their own favorite books on the platform. For Cappelletti, the differentiator between a good and bad audiobook is the voice reading the story. Audiobooks.com has come a long way from its days as a mail order CD rental service. While that arm of the business still exists, most of its members opt instead to use the company’s mobile application that provides industry-leading ease of use and an unmatched selection of titles.